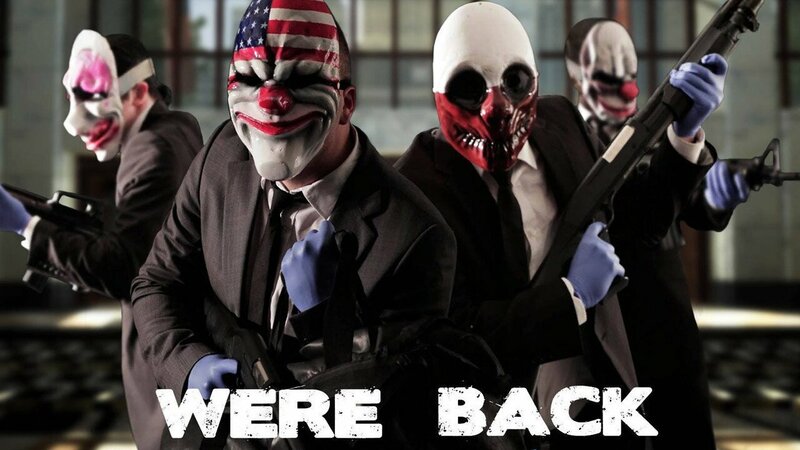 Payday 2 offers a compelling co-operative multiplayer experience. There’s something about the idea of a heist that inflames the imagination, isn’t there? A group of skilled criminals assemble, craft an elaborate plan, and try their very best to pull it off without too many hitches. If all goes well the thieves retire on a sunny beach somewhere, sipping cocktails adorned with tiny umbrellas. If things go wrong they end up either dead or in jail. These are the kind of stakes that all of us understand: the conmen emerge from the heist with their lives changed drastically for the better or the worse. Payday 2 is a game all about this dichotomy. Its developer, Overkill Software, has obviously studied the subgenre of heist movies and books and tried to replicate all of the tension that exists between plan and execution, success and failure. 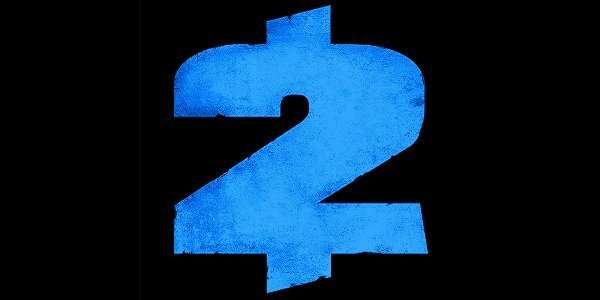 Payday 2 is a co-operative game that tasks a team of four players with carrying out a series of missions that all have the same end goal: get as much money as possible. This kind of framework lends itself well to variety and, luckily, Overkill exploits it to its utmost. The team of thieves are assigned heists that span an entire city by handlers like the secretive Bain and ruthless Hector. These are accessed through Crime.net, essentially a graphic server list obscured as a map, and run the gamut from short, simple jobs to lengthier, more elaborate ones. In one case the players are asked to cause property damage in a mall. This requires only one “day” of work, which essentially equals a single level. Another asks the criminals to raid a meth lab. When things go wrong — a rival gang has killed the drug cooks and armoured FBI agents are on their way — it becomes necessary for the players to finish making the meth (without blowing themselves up in the process), shoot through the opposition, escape, and then regroup for another day’s mission of offloading the product. While some heists can be finished in less than twenty minutes, others, like this, may take three or more days, requiring upwards of an hour of dedicated play to complete. The level of variety in mission length, difficulty, objective, and setting makes Payday 2‘s wide array of heists difficult to get tired of playing. Rather than take the obvious route and develop a game consisting entirely of different banks to rob, Overkill has exercised a considerable amount of imagination in the conception and execution of its levels. Payday 2 ‘s missions are also wrapped in layers of unlockables that encourage continued play. While skills can be upgraded across a variety of paths, allowing for a jack-of-all-trades approach, the game also features a loose kind of class system that can guide players who wish to become particularly adept at a certain role. These include the aggressive, thick-skinned Enforcer, the stealth-focused Ghost, machine-savvy Technician, and manipulative Mastermind. Since a good heist requires a mix of the four classes the difficulty of a mission can spike unnaturally if the wrong players group together — a balance issue that contributes to the sloppiness that often results from anonymous co-op and serves as Payday 2‘s largest problem. Nonetheless, an occasionally tough heist seems like a small price to pay for the level of customization the skill trees provide. Playing as a brutish Enforcer, blasting through enemies with a shotgun and shrugging off bullets with heavy armour, makes for a drastically different experience than assuming the role of The Mastermind, who is more concerned with dispatching health kits and overseeing civilian hostages. It’s extremely satisfying to finish a heist, use a newly earned level to upgrade a skill, put some recently stolen cash into beefing up a favourite weapon, and then see these investments immediately make a specific play-style more effective during the next mission. Of course none of this would amount to much if Payday 2 wasn’t so much fun to play. Fortunately it is. The plethora of guns that can be unlocked as the player earns money and levels all pack an appropriate amount of heft. Tight controls and excellent sound design result in a gratifying level of feedback that makes toppling a single enemy or firing the opening salvo in a stand-off against the police feel as momentous as any single moment in a high-stakes robbery should. Overkill has packed Payday 2 with an enormous amount of detail, and this pays off in a game that always feel responsive, whether the thieves are sneakily casing the perimeter of a building or fighting through a police blockade. The end result of Payday 2‘s commitment to level variety, satisfying character progression, and detailed gunplay is a truly great multiplayer experience — even if it has a few minor problems. Aside from an offline component with completely useless AI companions, the game is an entirely multiplayer affair. When grouping up with random strangers the co-operative nature of the heists can lead to mixed results. Sometimes the player will find her or himself matched with competent and supportive teammates who are eager to discuss and employ a specific plan during a heist. In these cases — and when making a squad composed of friends — Payday 2 is sublime. It’s far more difficult to appreciate the game’s strengths when playing as part of a less cohesive team, though. As with all multiplayer titles that encourage tactical thinking, enjoying Payday 2 is largely contingent on playing alongside others who are willing to work as a group. It’s easy to become frustrated when a teammate refuses to revive others or help lay down covering fire while a bag of cash is being slowly carried toward an escape vehicle. A better crafted offline mode would have gone a long way in solving this issue, but, as mentioned above, poor AI makes playing alone almost impossible. Bot teammates are good enough at firing their guns at enemies and reviving downed thieves, yet they never contribute to important aspects of the heist like carrying bags, setting up drills, or offering ammunition and health pick-ups. Still, it’s difficult to put too much emphasis on these problems when playing the game as intended is so enjoyable. Overkill has done a tremendous job of taking the tension of a great heist film and making it interactive. The sense of despair when police swarm a building, the suspense of protecting a computer while it collects data, and the satisfaction that come from pulling off a risky plan just right — these kind of moments are unique to Payday 2. When combined with top-notch action and an engrossing character progression system the end result is one of the most rewarding multiplayer experiences currently available.